The Center for Global Education hosts Taiwanese events throughout the year in collaboration with the Department of World Languages and Culture, the Culture Center Taipei Economic and Cultural Office, and other departments at Chapman University. Attend these events to learn about the culture, language, and beauty of Taiwan. All events are free for the Chapman community. Taiwanese Cultural Fair: April 11, 2019, Attallah Piazza, 11-2 p.m. Participate in games, activities, and watch song and dance performances. Free boba and bread to the first 100 participants! Taiwanese Puppetry (Budaixi) Performance Celebrating Taiwanese-American Heritage Week: May 23, 2019, Memorial Hall, 7 p.m.
Top private comprehensive university in Taiwan by Times Higher Education "Best Universities in the Asia-Pacific Region 2017"
Applications for Summer 2019 are closed and the deadline was March 26. Take Mandarin and culture courses including Chinese calligraphy, Chinese lanterns, Chop Engraving, Sun Cake Making, Chinese Kung Fu, and more! All students are paired with a local buddy from Feng Chia University. Participate in excursions around Taipei, National Palace Museum, Wanhua Longshan Temple, DaKeng Hiking Trails, Taichung Art Museum Parkway, Feng Chia night market, and more! TECO-LA (on behalf of Ministry of Education in Taiwan) and Center for Global Education present Study in Taiwan to introduce scholarships, programs, as well as opportunities to travel and learn Chinese in Taiwan. Workshops to enhance your understanding of Chinese language and Taiwanese culture. Learn how to do Chinese blow painting and calligraphy, enjoy music appreciation, a dance performance, and more! 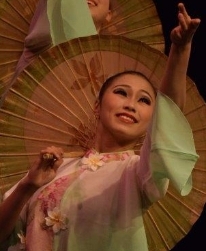 Celebrate Taiwanese American Heritage Week of Orange County with the Da-Guan Dance Theater from the National Taiwan University of Arts. Panel topics included Taiwan and the United States, Cross-Strait Relations between China and Taiwan, and Taiwan and Business. Visit here for more information. In celebrating over one hundred years of tradition, the Chinese Chamber of Commerce of Los Angeles presented the 119th Annual Golden Dragon Parade. With over thousands of individuals lining the parade route and thousands viewing the telecast each year, this colorful celebration along North Broadway in Chinatown, Los Angeles has become the premiere cultural event in the Southern California Asian-American Community. The Chapman community discovered the culture, beauty and folk customs of Taiwan through the unique photo exhibition, Enchanting Taiwan. 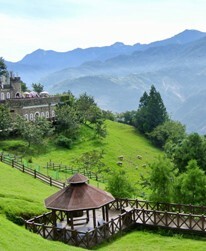 Individuals gained a deeper understanding of Taiwan nature and culture through photography. These 30 pieces are from Taiwan's top photographers, bringing the viewer closer to a unique perspective of Taiwan. Viewers saw a new perspective on the scenery, folk customs, and cultural diversity of this magnificent landscape. At the start of this exhibit, the Center for Global Education, Leatherby Libraries, Taiwan Academy, and Taipei Economic and Cultural Office in Los Angeles invited the Chapman community to a grand opening cultural event on April 19. This included Taiwanese folk dance and song, Taiwan Puppetry art, and partaking in KINETIC Tai Chi Chuan, Chinese paper art, and Chinese brush calligraphy and painting. Speakers were on-hand to welcome the Chapman community and discuss the importance of Taiwan culture and art.